Current: HESTER BEGINS THE COUNTDOWN TO DARKNESS 100! HESTER BEGINS THE COUNTDOWN TO DARKNESS 100! 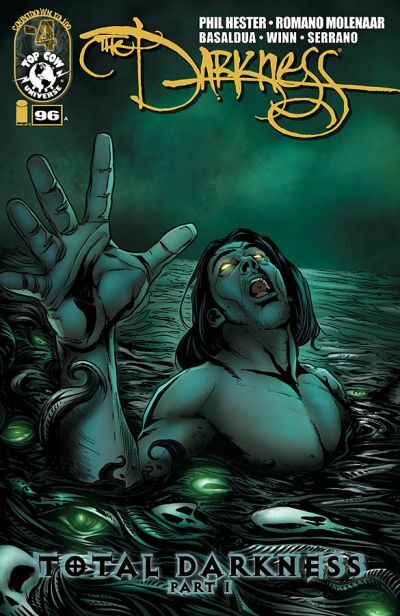 Berkeley, CA â€“ 21 December 2011 â€“ Writer Phil Hester has taken the Darkness bearer, Jackie Estacado, from the height of power and influence to the pits of despair and everywhere in between in his four year run on THE DARKNESS. This month with the release of THE DARKNESS #96, Hester begins his final arc, appropriately titled â“Total Darkness,â€ leading up to the landmark 100th issue. 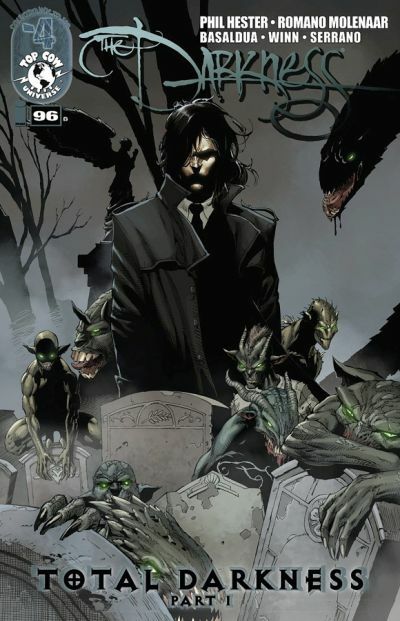 Jackie Estacado has been blessed and cursed with the ancient power of the primal force known only as the Darkness since his 21st birthday. Since then he has always tread his own path, never fully hero nor villain; choosing to live in a world of gray rather than light or dark. Now, the Darkness and its rebellious bearer are finally fully at odds and left with no other recourse, Estacado plunges himself into the Darkness’ home dimension to confront the very source of his power. Will Estacado be able to triumph over a being older than time itself in his greatest conflict? Or will the Darkness find a new, more malleable host? The â“Total Darknessâ€ story arc will run from issue #96 to the over-sized issue #100 in February. Issue #100 will also serve as Phil Hester’s final issue on the series, concluding his 36 issue epic exploration of Jackie Estacado. Joining Hester for his final arc will be artists Romano Molenaar (THE DARKNESS II: CONFESSION) and Leandro Oliviera (Superman). THE DARKNESS #96 (JAN120502), a 32-page full-color supernatural horror comic book for $2.99, will be on sale in stores and digital platforms on December 21 and will be available for order in the March issue of Previews. The issue will ship with two covers, one by regular cover artist Jeremy Haun (AUG110515) and one from Sheldon Mitchell (AUG110516). For more information, please visit www.topcow.com.